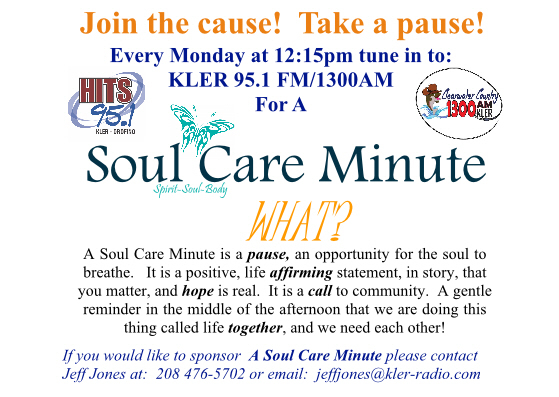 This week's Soul Care Minute challenges us to "lay it down" . Take a pause, and tune into HOPE! Listen in to the story of how Thanksgiving became a national holiday. Then, lift your mug to a traditional Thanksgiving poem: Over the River and Through the Wood. Happy Thansgiving! Tune into Hope as we discuss finding "happy" in the hard times, and cutivating an attitude of gratitude.